Add an extended overflow & waste? Click here for information about Overflow & Waste options. 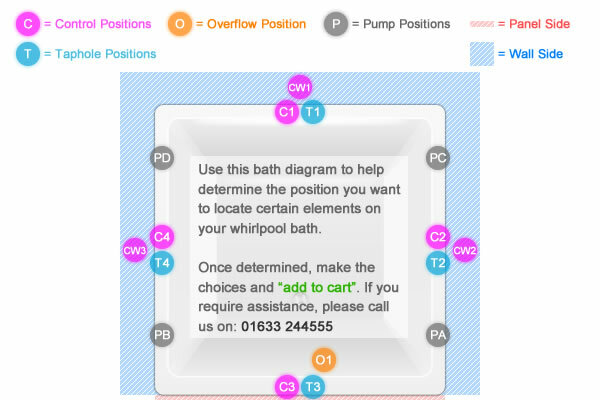 Click image for a bigger bath diagram. Lack of space is not something to worry about with the Omnitub Duo. 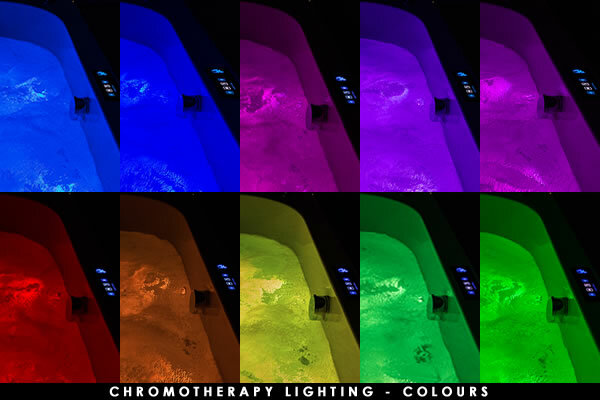 With this bath you have no need for compromise on style nor luxurious functionality (see images above). Designed to accommodate two bathers at once, this Japanese style bathtub allows them to fully immerse and indulge in it's impressive 600mm depth. 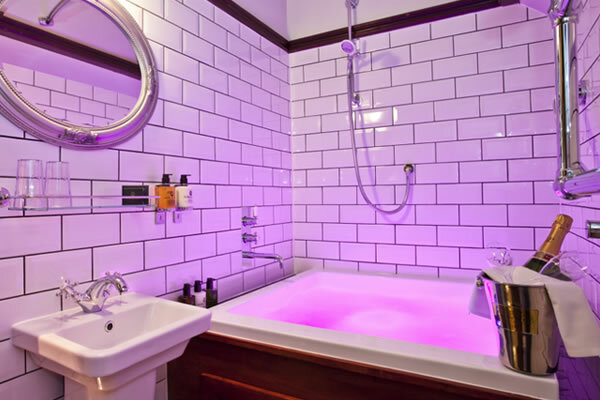 This simply isn't possible with a conventional bathtub. 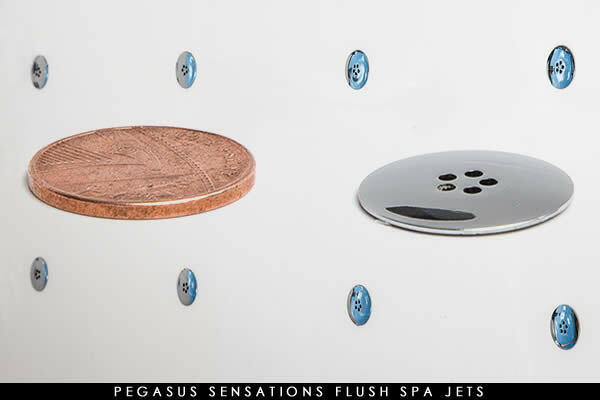 Made from top quality Italian glass that will never ware out, this modern, sleek & stylish, touch sensitive control pad has been designed to be located off the bath & onto a marble plinth or tiled wall. 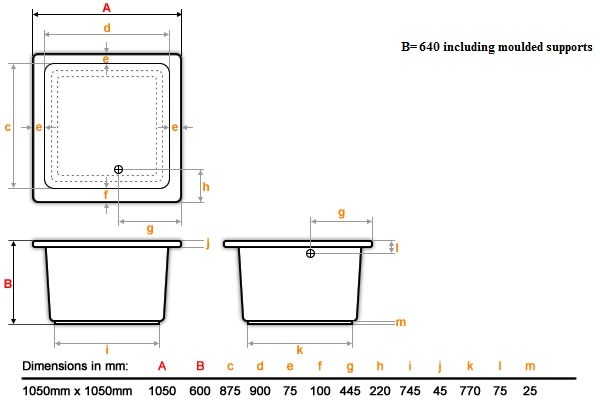 It can still be fitted to a bespoke, favorable position along the rim of the bath if preferred (see the diagram above for options). This multi-functional, state of the art control really does give the bather/s complete, convenient control at their finger tips. Please Note: The only place we can achieve fitting the pump within the confines of this bath is when it is located under the tap ledge. We Recommend: That you choose the "panel side" of your bath when selecting the "control" & "waste" positions on double ended baths. This is for easier access purposes. British manufactured from high quality GRP (glass reinforced plastic). 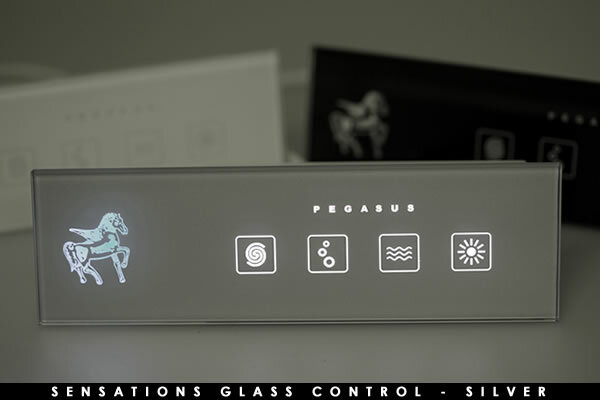 Pegasus Sensations™ touch sensitive, glass control. Super quiet European TUV approved pump with rubber mount. Sound reducing rubber pads for bath feet. Free hygiene pack (whirlpool cleansers & sanitisers plus an aromatherapy bath oil). Lifetime extendable warranty (please call for this option - 01633 244555). Not all whirlpool baths are made the same. Our whirlpool baths are now fitted with our latest development of 4th Generation (4G) Pipework. Evolved over 25 years at Pegasus Whirlpool Baths, 4G pipework is the only fully draining whirlpool pipework. It works on the priciple of "what goes up must come down" and has been designed with hygiene in mind. 4th Generation (4G) Pipework - When the bath is emptied, the pump and pipework will drain completely, but just to make sure that every last drop has gone, the heated blower is programmed to automatically purge the pipework of any remaining droplets 15 minutes after you have emptied the bath. Maintenance consists of flushing the system with our whirlbath cleanser six or seven times a year depending on usage - we include a two month hygiene pack with every system. 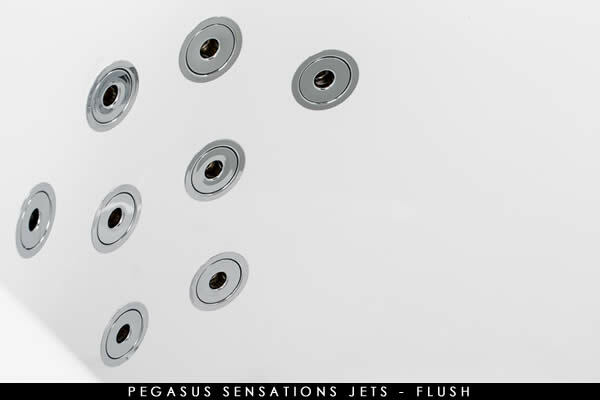 Pegasus Sensations ™ has set new high standards in whirlpool bath development. With many features included as standard, Pegasus Sensations ™ whirlpool baths allow you to relax & enjoy your bath hassel free. Our whirlpool systems include quality UK & European manufactured parts plus all construction is done here in th UK by vastly experience whirlpool engineers. Take all these factors into cosideration & you will quickly discover why we consider our Pegasus Sensations™ to be the industries leading whirlpool system for performance, hygiene, functionality & reliability. 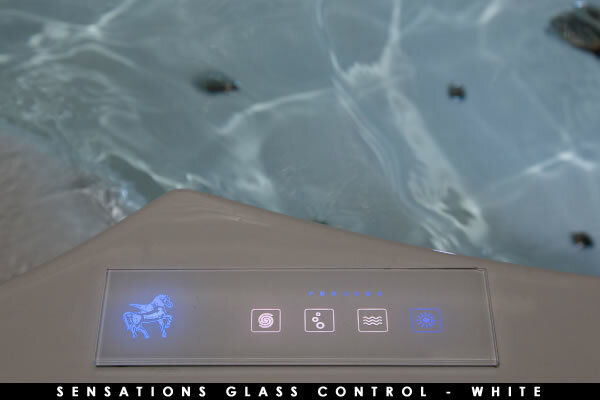 Pegasus Sensations™ whirlpool baths are fitted with a unique, "state of the art", touch sensitive glass control that will never ware out. 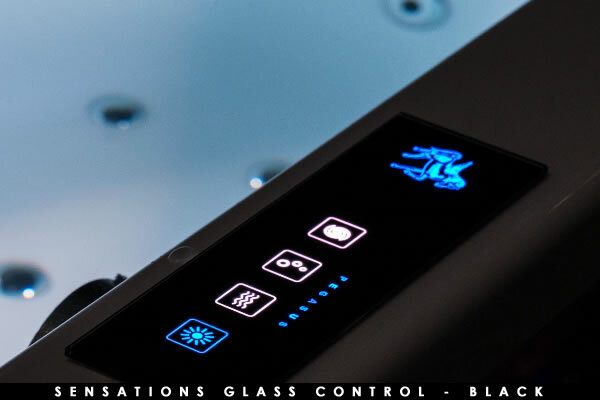 The stunning black, white or silver glass controls sense the user's finger & sends the appropriate instruction to the pump, blower or chromotherapy lights. Pegasus whirlpool controls are designed to be easily installed in a convenient position where the bather can comforably access & use them. Bespoke building ensures that in most circumstances, our experienced technicians can customise the system so that the controls can be set into a wall adjacent to the bath, a plinth or even just into a convenient location on the rim of the bath. 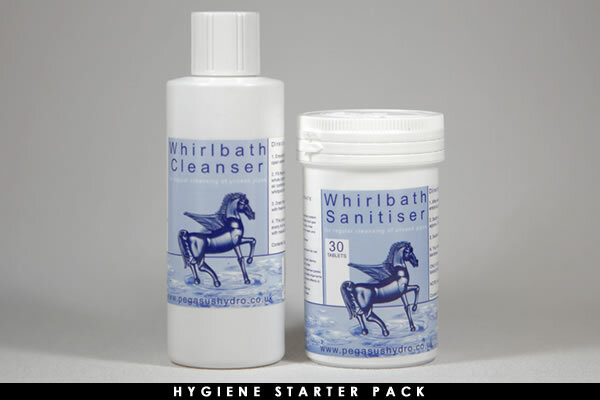 Everybody who purchases a Pegasus Whirlpool Bath gets a free "Hygien Pack" that contains whirlpool cleansers, sanitisers & an aromatherapy bath oil.